DELWP crews have arrived at the remote location to investigate the stranding. Twenty-eight whales have died after a mass beaching event on a remote part of the East Gippsland coast in Victoria's far east. 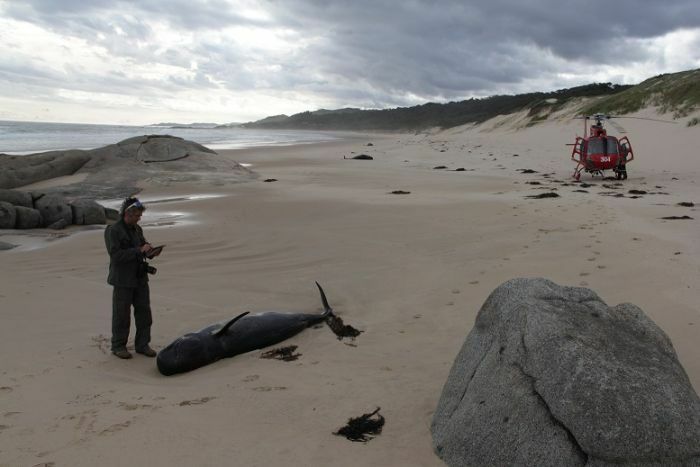 Twenty-seven pilot whales and one humpback whale were reported beached last week at Wingan Inlet, between Cape Conran and Mallacoota, in the Croajingolong National Park, about 500km east of Melbourne. It brings the total of whale deaths around the coast of New Zealand and eastern Australia to 242 in just one week.